CAN MIKE'S WASH YOUR VEHICLE? We work hard to provide our customers with the best technology available to guarantee a clean, dry and shiny vehicle, along with the peace of mind that their vehicle won't be harmed in any way. And although we'd love to wash every vehicle, there are some we just can't. Most Mike's locations use a conveyor system in which the driver's side tires are guided onto a motorized track, then the car is pushed through the tunnel. 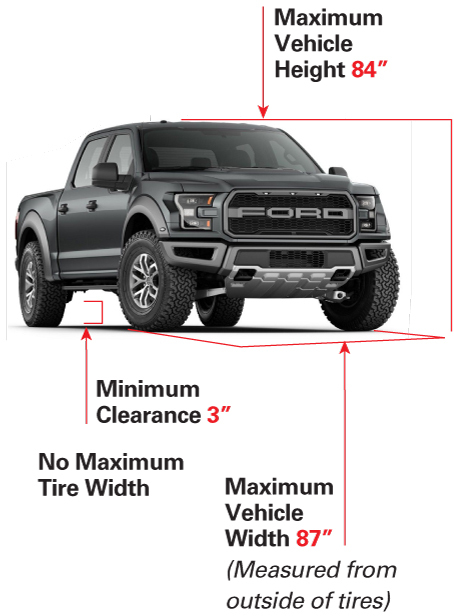 See the image below for vehicle dimension guidelines for our Conveyor Stores. At our belt locations listed below, front and back driver's side tires pull onto an extra-wide belt, then the vehicle is transported through the tunnel. 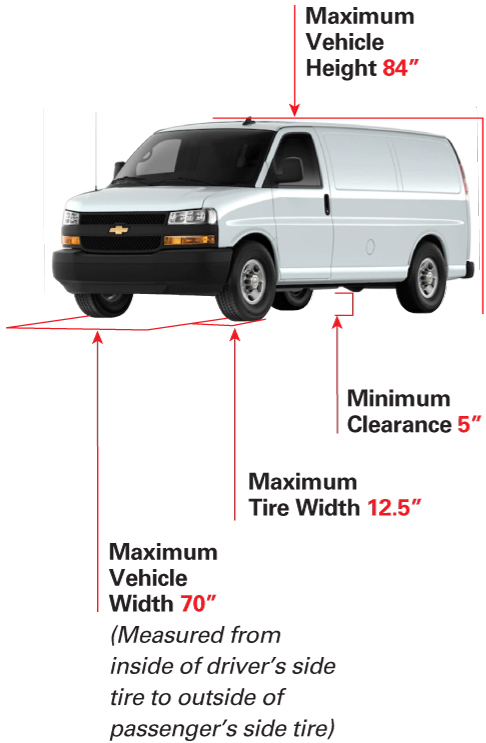 See the image below for vehicle dimension guidelines for our Belt Stores. Vehicles with items attached/held with bungee cords, rope twine, etc. Your vehicle's safety is our number one concern.